Ferrari started off the preparation work for the 2018 Formula One Championship in a good manner, but it still needs to unlock the potential of its new challenger, the SF71-H. That is the view of Ferrari’s quadruple world champion Sebastian Vettel. Ferrari found back the connection to the sharp end of the field last year following a complete internal restructuring of the team and departures from its previous technical solutions and paths. With its 2018 car, the team built on the successful predecessor while designing the new SF71-H. The team won five races with Sebastian Vettel in 2017 and was in contention for the championship titles before its hopes faded in the latter part of the campaign following a series of crashes and reliability woes. For 2018, the team sets new hopes and expects another lift in reliability and performance. 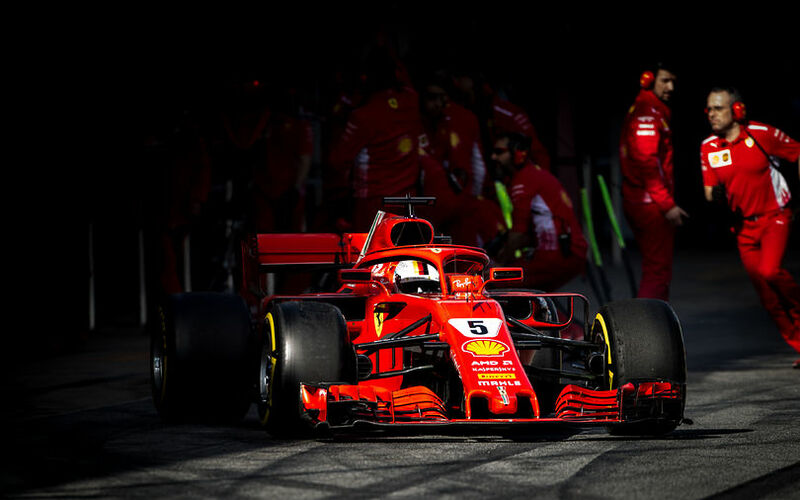 Vettel and Räikkönen racked up a total of 4323km during the two-week-long test period in Barcelona and the two drivers topped the overall time sheet with record-breaking times. The team completed two successful test sessions, but found the areas which need to be addressed and also recognized the strengths of its two main competitors Red Bull and Mercedes. The German has faith in his team, but urged them to further improve the competitiveness of the SF71-H. The championship season kicks off in Melbourne, Australia again which brought success to the Italian team in 2017. Vettel won last year’s first Grand Prix in a uncompromising fashion. “I can’t wait to be in Australia, because once we get on track there, we will all be driving and racing under the same conditions. And, as I said before, I have confidence in our car,” said Vettel.